It's that time of year that high school soon- to- be seniors are beginning to apply for their top school choices with all fingers crossed. When I was deciding on my first choice school, it was pretty important to look at programs, extracurriculars, study abroad opportunities... and, you know, the likelihood of my dorm being haunted. If you're anything like me, you can binge watch about 27 episodes of Ghost Adventures straight and never get sick of it. But when it comes to where I'm living and going to school, I don't want it to be like living through Paranormal Activity 5. 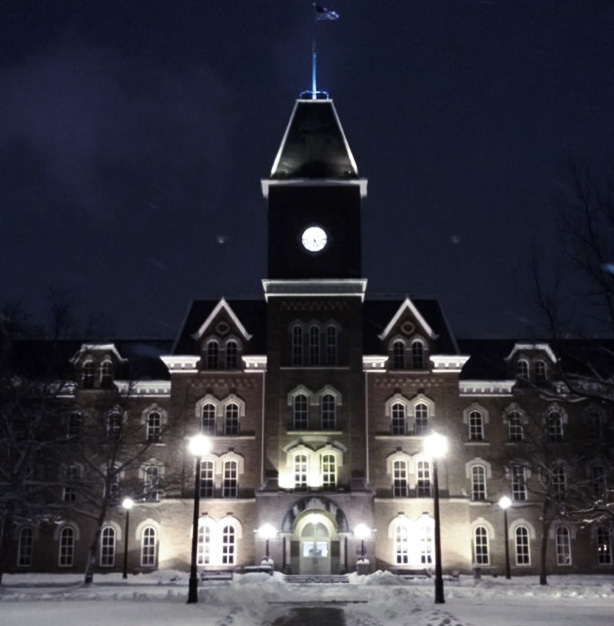 Want to see if any of your top schools are on the list of most haunted in the world? Keep reading about some of our picks with stories from students around the globe. 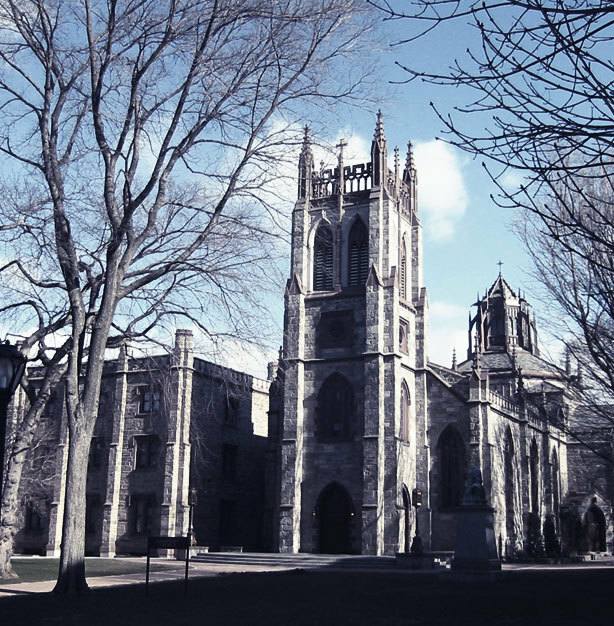 If it doesn't freak you out enough that Fordham was built on top of land that was once home to a hospital over 100 years ago, scenes from The Exorcist were also filmed there. In Martyr's Court bathrooms, there are frequent sights of a little ghost girl behind shower curtains and children's laughter within the walls. A rumored tale from the 1970s of a security guard that never returned to campus after witnessing chairs slamming into walls remains to be some of the students' favorite ghost tale. During Halloween, you can even go on a ghost tour of the campus. If Fordham U is on your list, we just recommend that you visit first. 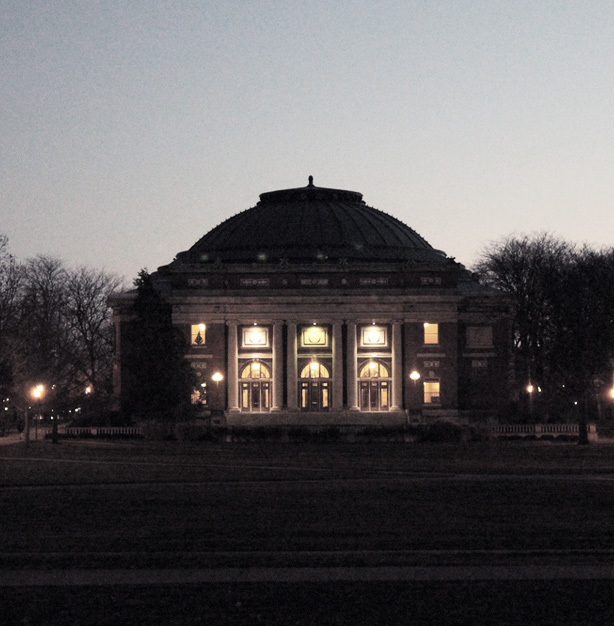 The most notorious haunted location in the Champaign campus at the University of Illinois is in the English building, where it's claimed that a young woman took her life after her relationship ended. Flickering lights and slamming doors are common, but some even spot this woman roaming the halls. A spirit has also been spotted peering out of a window in Lincoln building when no one is there, and cold spots, whispers, and footsteps are common in the main foyer of the Psychology Building. 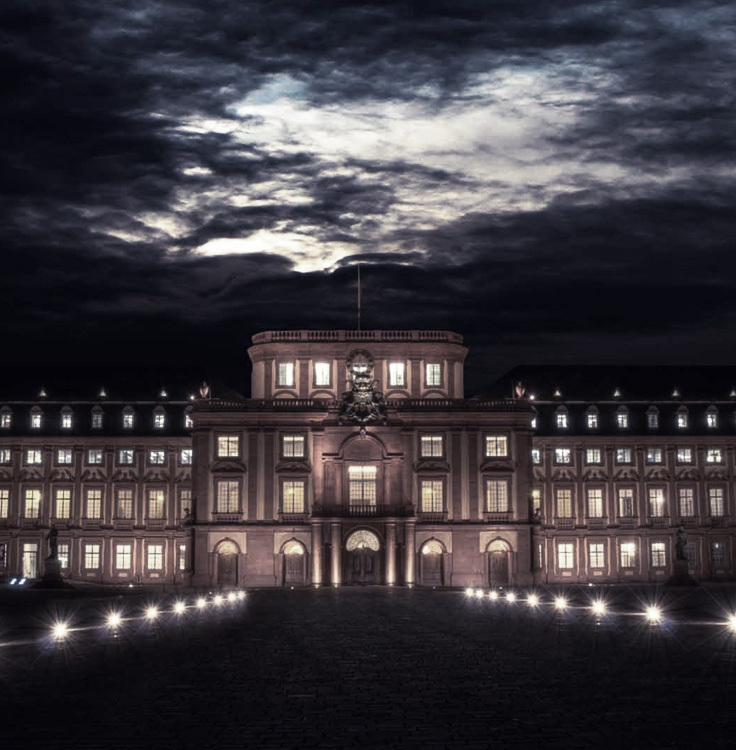 During World War II when the Nazis were in control of Germany, many women were taken to Heidelberg University to be sterilized. It comes as no surprise that today, many students claim to hear women crying in the medical clinic when they're alone. Other tales within the university include chalkboards erasing by themselves when classrooms are locked, or messages on the boards that appear overnight. In the main area of the campus, there was a burning of banned books before the war started. Today, students claim to smell a strong burning scent with no explanation. 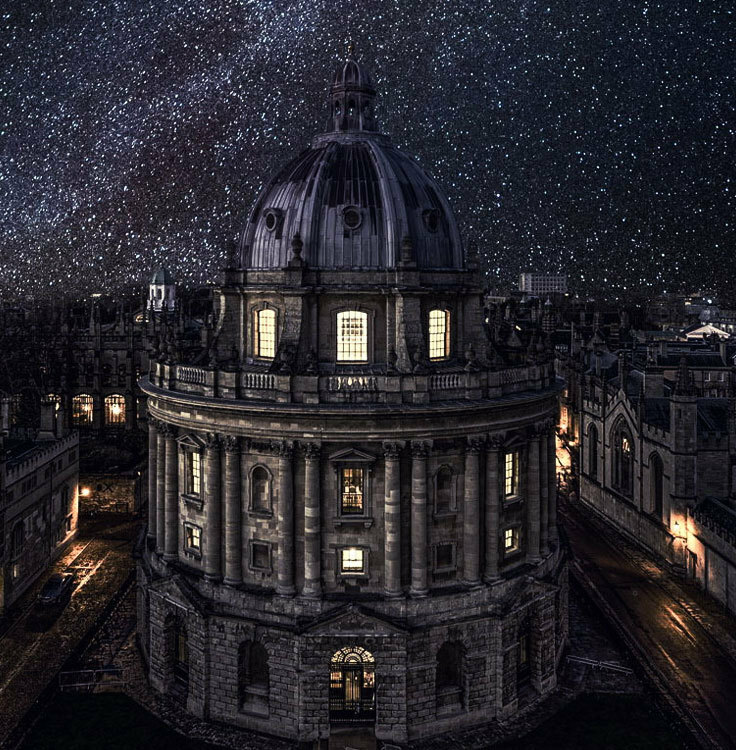 Oxford has 99 problems and all of them are ghosts. 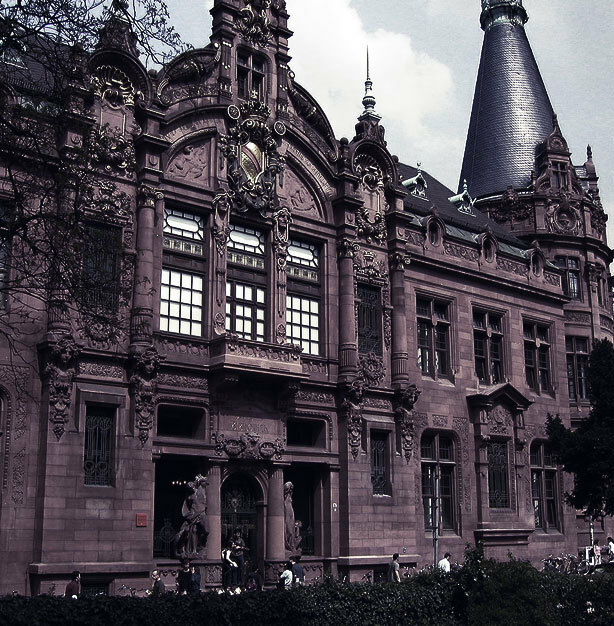 Seriously, this university is just about as old as dirt, dating back to the 11th century. One of the most odd (and admittingly amusing) sightings is that of Archbishop William Laud kicking his (own) severed head throughout the corridors of the library of St. John's College. Other ghosts have been spotted as far back as the 17th century, and that's just what's been recorded. In a school as old as this one, you're sure to encounter some paranormal activity. 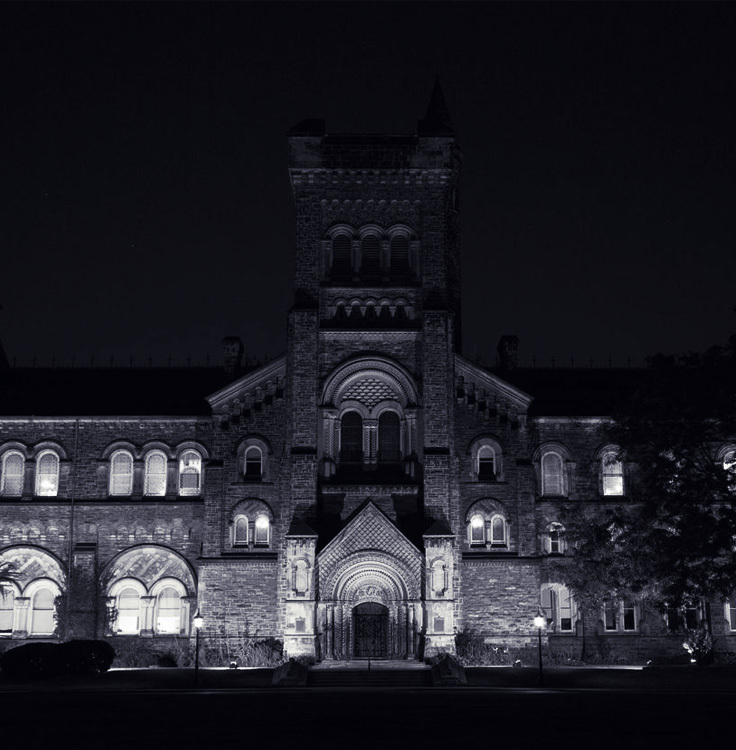 The ghost of a mason that worked on the building of the University of Toronto is said to haunt the building to this day. The story goes that two masons didn't get along to begin with, and then they both fell in love with the same woman. This led to an altercation that left a door with a dent from an axe (that you can still see), and one mason killing the other. What's weirder is that the mason's head was never found, but the rest of his body was laid to rest under a maple tree on campus. Late at night, students claim to hear banging and creaking noises throughout the building. Between poltergeist activity in frat houses and schoolteacher sightings in unused rooms, there's a whole lot going on at Ohio University. One of the most popular claims is the sound of hundreds of marbles dropping on the floor above you. This is commonly heard in Jefferson Hall and Bush Hall. Faucets turning on and off, lights flickering, laughing, and the sound of dripping liquid are all claims from students. Well, if you ever want to see Oliver Cromwell's head, apparently Cambridge is the place to go. After his death, the military leader was dug out of his grave, hung, and beheaded. His body was buried in a shallow grave, but his head sat atop of a pike on Westminster Abbey for about 20 years. There have been many claims of seeing Cromwell's floating head throughout the campus, supposedly searching for the rest of his body. Established in 1209, many, many students have certainly passed through the halls of Cambridge University. With college life being so great and all, you can't blame some of them for wanting to stick around. Do you think your school is haunted? Let us know where in the comments!